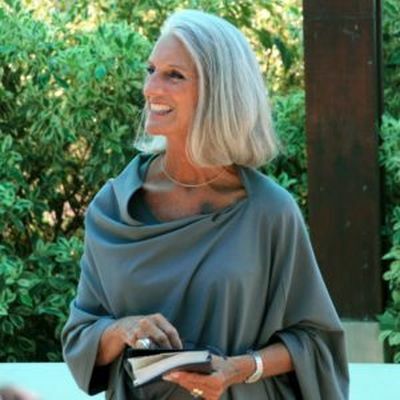 Evangelist Anne Graham Lotz has revealed that she has been diagnosed with breast cancer. According to a post on her website, she found out about the diagnosis exactly three years after she discovered her husband unconscious in their pool. “On the afternoon of August 17 2015, between 3pm and 3.30pm, as you may know, I discovered my husband, Danny, unresponsive in our pool. Two days later he was Home! Three years to the day, on the afternoon of August 17 2018, at the very same time of day … 3pm to 3.30pm … I was diagnosed with breast cancer,” she wrote. Lotz thought the “strange ‘coincidence'” of the timing meant her diagnosis was an attack from the enemy — until she realised the date lined up with an even greater event. “I heard the soft, gentle whisper of the Spirit, reminding me that it was on a Friday, during that very same time … between 3 and 3.30 in the afternoon … that God’s Passover Lamb was sacrificed. Jesus died on the very same day of the week, at the very same time of the day, crushing the head of the serpent, forever defeating the devil and death. Praise God! The cross … the blood of God’s Lamb … trumps anything the devil can throw at us or assign to us!” she shared. Lotz says God is still in control and she believes in the healing power of Jesus’ blood. “Each day since the diagnosis, God has given me promises and encouragement from His Word. God has been … and is … my refuge and strength, an ever-present help in this trouble. Therefore, I will not fear … BUT He also has made it very clear that my healing will be in answer to not just my prayer, but the prayers of others for me,” she explained. Lotz asks believers everywhere to pray for her. “Would you pray for me? Pray for God to heal me in whichever way He deems would bring Him the most glory. Healing without surgery, with surgery, with surgery and follow-up treatment, or through the greater miracle of the resurrection,” she wrote. Lotz added that God is the “Good Shepherd through this Valley of the Shadow” and Jesus will be glorified through this trial.